Taking care of our visitors is a priority for Mexico's Pacific Treasure, and this is why the Convention and Visitors Bureau (CVB) of Riviera Nayarit is celebrating the recent opening of a tertiary care hospital, part of the San Javier Group. These new facilities will aid in caring for tourist's health issues, improve the travel experience and will even allow Riviera Nayarit to start looking for new market segments related to medical tourism. 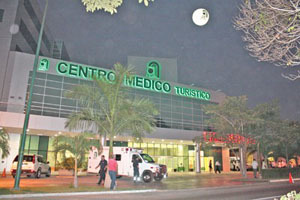 The Director of the Hotel Group, José Narciso León, stated: "Grupo Empresarial San Javier firmly believes in the consolidation of the beautiful Riviera Nayarit as a fertile land for the development of high quality medical services with the highest attention and service standards, like the ones that have been offered by San Javier Hospital in Guadalajara for the last 17 years". These new medical facilities are located in Paradise Village's Business Center. The hospital established several alliances with Grupo Paradise Village and other investors to be able to attain a great staff and the most modern technology, including 18 hemodialysis machines, radiology equipment, clinical analysis, ultrasound and intensive therapy, among many others. "This new hospital will contribute immensely to improve our touristic products, which is a key concern for the CVB of Riviera Nayarit, as we're convinced that direct recommendations contribute greatly to promote our destination. Services that provide security to our visitors represent an important asset to complement our brand positioning efforts", said the President of this non-profit association, Fernando González Ortega.